His father died in WWI. After his father's death, his mother moved with him to Alabama. He was invited to join a band by Les Hite. There he met Louis Armstrong. In 1930, he was invited to a recording studio. During a break, he went over to the vibes and started playing. Armstrong liked what he heard and recorded a song with him, which became a smash hit. He wanted to play drums, but he ended up choosing the piano. In 1920, he went to Harlem. "Fats" Waller was his major influence. They became friends, and Fats let him sit next to him at the piano. He joined a a road show with Gonzel White.He played in a four piece band and acted a little. In 1930, he joined the Bennie Morton Band and stayed with it until Bennie Morton died. 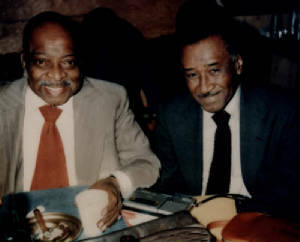 He and the other band members still played together at clubs and they competed with Duke Ellington. 4 more men were added to the band and they started recording. One of seventeen, her mother was a slave in Virginia. Her father was a white slave owner. Her mother was 13 when she was born. 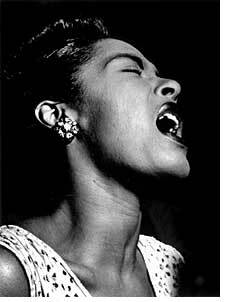 While cleaning a house for some people, Lady Day first heard the music of Louis Armstrong, and loved it. She started her career by singing in Halem nightclubs. Toured with Artie Shaw and Count Basie. 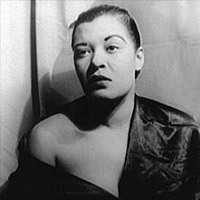 Sadly, Miss Holiday died at 44 in 1959.